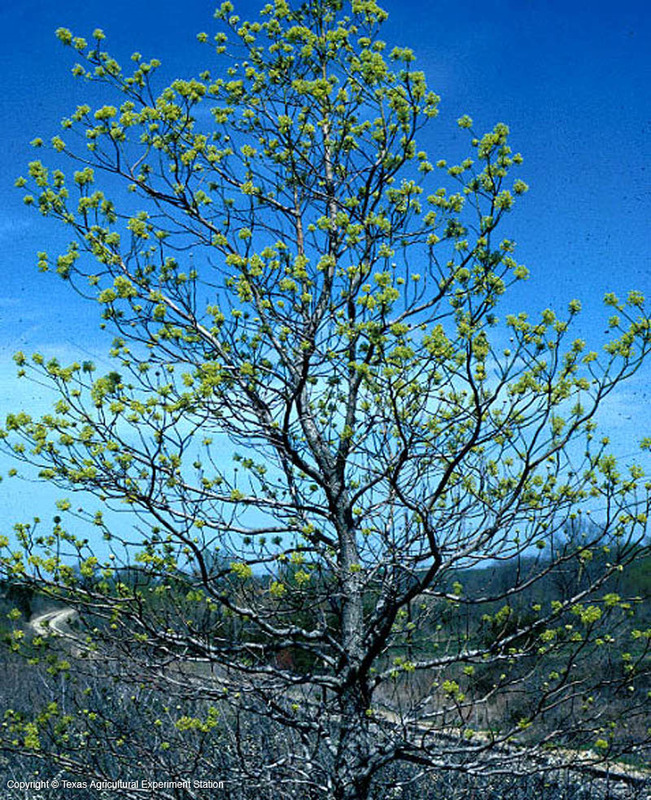 Sassafras is a small to medium tree that grows in the acid sands and sandy loams of east Texas. It is fast-growing and spreads from the roots to make large groves. 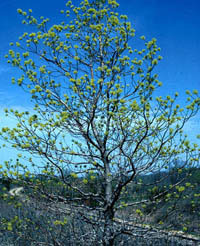 The attractive yellow flowers occur early in spring, followed by deep blue fruit on coral red stalks, quickly eaten by birds. The leaves come in three distinct forms on the same tree: three-lobed and left- and right-handed "mittens". They turn bright orange, red and salmon in the fall. Because it has a tap root and sparse spreading roots sassafras is difficult to transplant from the wild. It doesn't do well in soils that aren't moist, loamy and well-drained, becoming chlorotic in high pH clays. Height: 30 to 50 ft.
Width: 35 to 40 ft.